Much attention has been paid to the fact that the rebound in single-family housing has been tepid, but investors must understand the underlying structural changes that are driving these changes. As shown below, the rebound in housing starts has been uneven between single-family and multifamily housing. Single family has rebounded from a trough of ~400k annual starts to ~650k, but well below the peak of 1,800k in 2006. It’s a very different story in multifamily housing where housing starts are now at levels equal to or greater than pre-crisis at ~440k. The strong rebound in multifamily housing is understandable from a number of perspectives. As shown below, the homeownership rate in the United States dropped to 64.7% as of 30 June 2014, which is the lowest it has been since 1995. 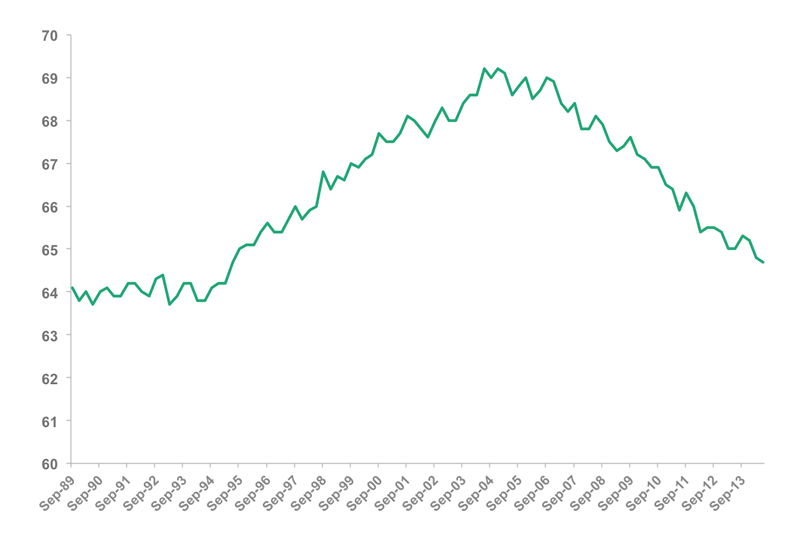 As an aside, the rise of the homeownership rate starting in 1995 was no coincidence. In fact, President Clinton unveiled “The National Homeownership Strategy (PDF)” on 2 May 1995, which directed HUD Secretary Henry Cisneros to boost homeownership in America to an all-time high by the end of the century. They succeeded, but we all know how the housing boom ended. 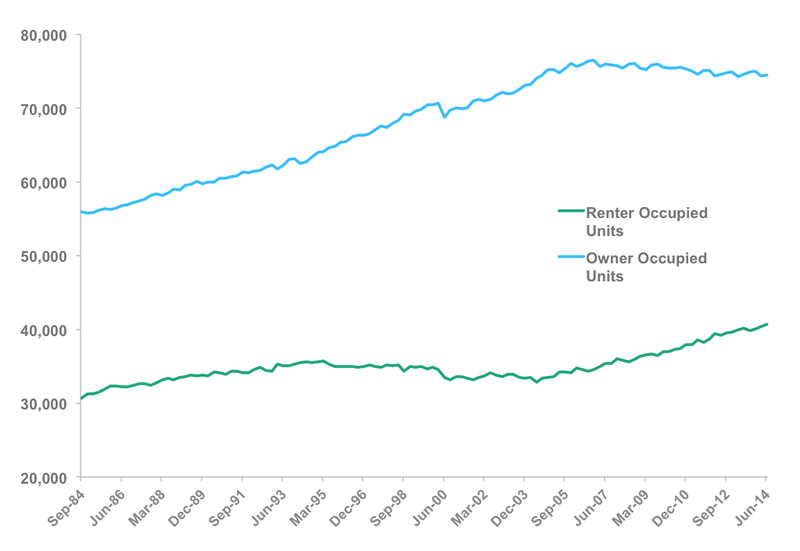 As shown by the chart below, and as would be expected by the plummeting homeownership rate, owner-occupied housing units in total are actually lower since the end of 2006 while renter-occupied units are up ~18% since the end of 2006. Despite the perceived “boom” in multifamily housing, the supply and demand picture paints a different story. So, given the underbuilding of multifamily housing during the 2000s and the aging of the population, the momentum of multifamily construction is not overdone but likely has many years to grow rapidly. This wouldn’t be nearly as interesting of a story if the GSEs (Fannie Mae, Freddie Mac, Ginnie Mae) were not involved, but to no one’s surprise they are playing a very large role. While getting a mortgage in the single-family world is much harder than it was pre-crisis, it is a very different situation in the multifamily world, where credit is flowing freely. One likely contributor to this is the recent boom in multifamily securitization by the GSEs. Each has a different program (Fannie Mae has DUS & Mega, Freddie Mac has the “K-Series,” and Ginnie Mae has project loans), but due to the structure of the loans, the securities have very predictable cash flows and have become in great demand among investors, driving spreads to razor-thin levels. 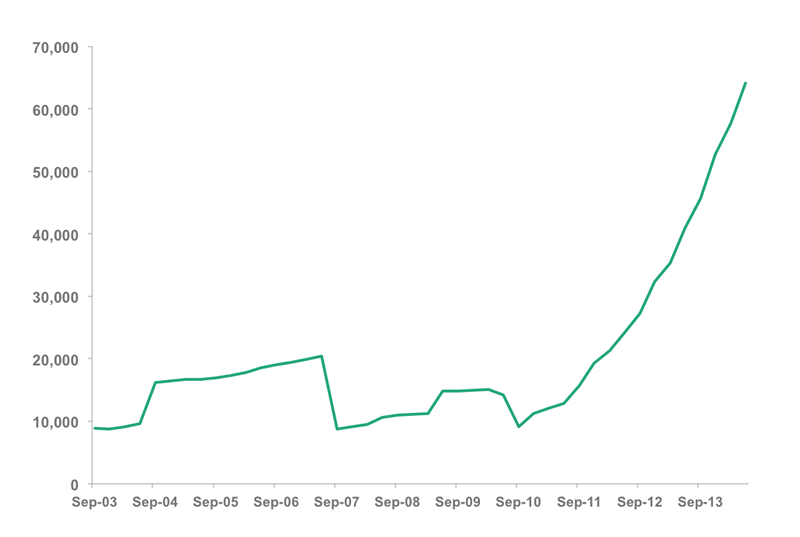 As shown below, Freddie Mac multifamily mortgage debt outstanding has exploded over 700% since 2010, led by the popularity of the Freddie K-series program. 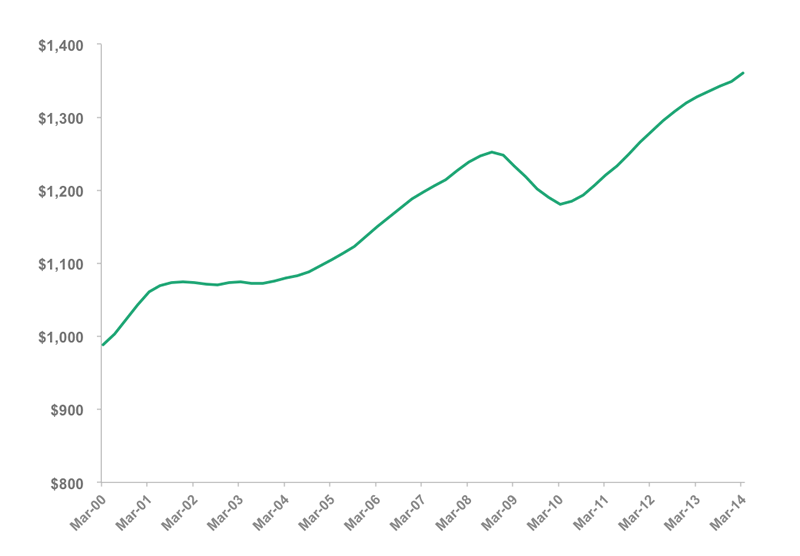 The credit quality of the underlying loans has remained near pristine thus far, but it makes you wonder if the quality will remain high with this much growth. A secular movement towards multifamily housing led by demographics and changing preferences is a trend going forward. Further aiding this shift in our domestic housing “mix” is the relative looseness in multifamily housing credit availability compared to single-family credit, which remains much tighter than pre-crisis times. The favorable financing environment is a great thing for the developers of multifamily housing, but the economic picture is a lot more negative for the average renter as rent prices continue to hit new highs with vacancy rates at multi-decade lows. Given that wage growth has remained anemic, renters across the country have been unable to keep up with rent increases, putting a strain on disposable income. The investor community needs to wake up and stop waiting for a substantial rebound in single family housing, as multifamily housing has already rebounded and will exhibit most of the growth going forward. David Schawel, CFA, is a portfolio manager for New River Investments in the Raleigh/Durham, North Carolina area. Previously, he managed a $2-billion fixed-income portfolio for Square 1 Financial, which he joined in 2008. Thanks, David. Here’s a link to an interview that my colleague, Calvin Schnure, did with CNBC a couple of days ago on the same subject: http://video.cnbc.com/gallery/?video=3000306708&__source=yahoo|headline|quote|video|&par=yahoo#. Calvin first spoke publicly about the coming strength in the rental housing market near the end of 2011. 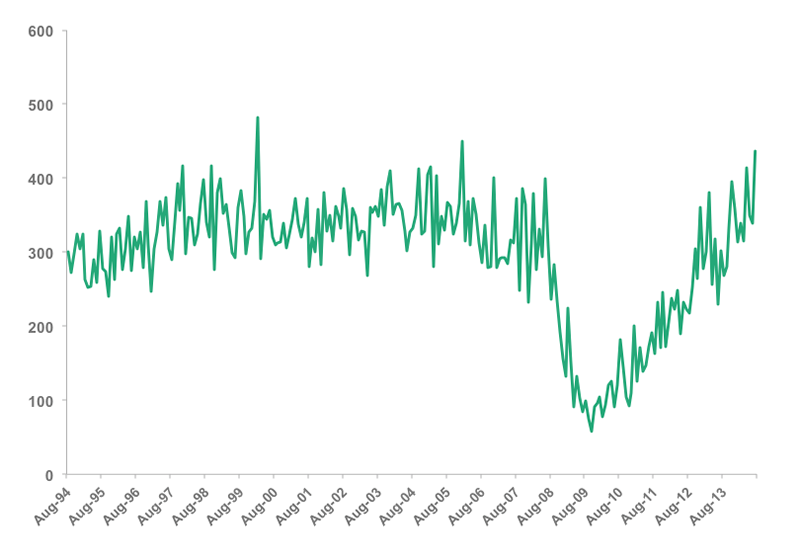 The key is the new household formation rate, which since 2006 has been far, far below normal, resulting in pent-up demand for rental housing among an enormous cohort of people–many of them recent college graduates–who are currently sharing housing with others but would like their own place. If household formation is “below normal,” then we could expect household formation & demand for single-family housing to rise when recent college grads/Millenials get married & start families, and the ecoomy/job market keeps improving over the next several years. The question is whether or not demographics & preference for urban living means that there is a permanent shift in demand for condos/apartments versus detached housing. We will know, once the economy booms again! 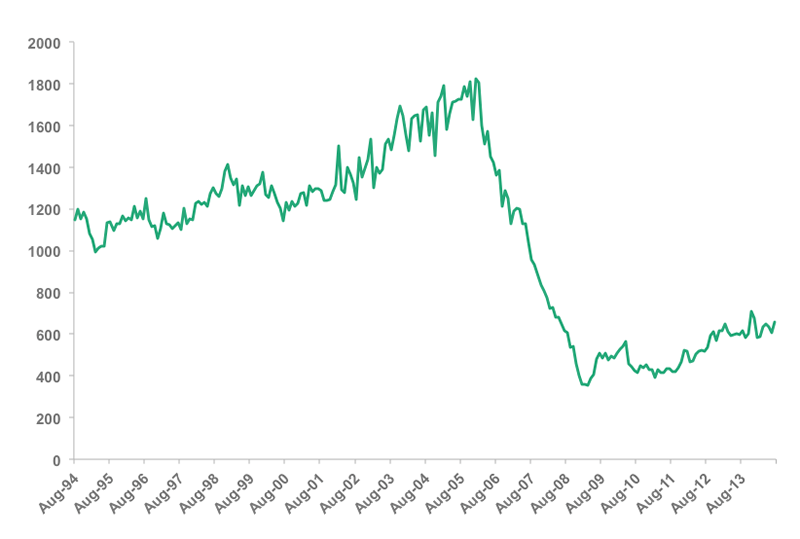 There may well be a permanent shift in demand, David, but even if there isn’t, it’s likely to take a decade or so just to work through the temporary backlog in rental demand. Most new households don’t move directly into either owner-occupied housing or detached housing, they rent apartments first. Calvin estimates the number of “shadow households”–meaning households that would ordinarily have formed but have not since 2006–at about 4 million. Here’s a link to his research paper from 2012 (when the number of shadow households was only about 3 million): http://papers.ssrn.com/sol3/papers.cfm?abstract_id=2048815. As the multifamily market booms our customers are more than ever willing to renovate and upgrade units to provide not only a fresher look but a smart revenue saving unit from energy star rated appliances to LED lighting to Water Wise certified water saving products. This is great to see while the owners and investtors see an ROI the residence save on utilities as well. This is a Win Win . Pingback: What We’re Reading: September 5 « OBrien Greene & Co.
Great article with analysis since the 2008 recession. As Obama’s State of the Union address, the US economy is on the right track triggering the multi family construction boom. Pingback: Real Estate: What Conditions Lead to an MDU Market Boom?